The first edition of Social Impact Leadership training was completed successfully and the 30 participants received their EU Youthpass certificate. Including a training in Design Thinking by SAP and workshops in project management and fundraising by Gopi Kallayil, Chief Evangelist of Marketing from Google, this amazing learning journey will be inspired by experts and supported by youth activists your age, work in national teams to design and implement social impact projects and acquire self-empowerment tools like meditation and journaling to become a real mindful superhero. In the end you will attain the EU Youthpass Certification, sparkle and shine as a next generation leader! 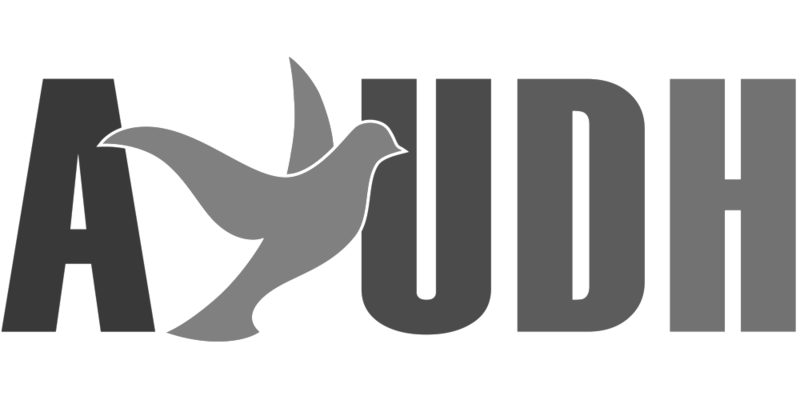 As an international youth movement, AYUDH is taking up its responsibility to act as an active member of European civil society. However clear our motivation is, though, it alone is not sufficient. Youth activists need to be equipped with the knowledge, skills and attitudes needed to create real social impact. They need to learn how to design, implement and evaluate projects, how to inspire others, how to communicate effectively and how to lead teams. Youth leaders need to work on their integrity and self-awareness, and this can be served by introspection and mindfulness. We believe that training in Social Impact Leadership and Design Thinking can provide the basis of capacity our youth activists need to act. AYUDH has designed this program to offer a comprehensive training course for youth activists in this respect. It is offered to a total of 30 youth activists aged 18 - 26 from Denmark, France, Germany, Greece, the Netherlands and Spain. Our goal is to train youth activists in Social Impact Leadership via personal transformation and empowerment. The program will increase the ability of the participants to understand social issues they consider important and to collaboratively design, test and implement youth-led Social Impact Projects. Three transnational seminars form the core of the program. These are complemented and supported by the other program elements of project development, self-study and online exchange. The seminars will bring together all participants, including their national team leads, for six days apiece. Each seminar will include training in leadership competences, project work, mindfulness practices and a cultural visit for a full or half a day. During seminar 1, SAP will facilitate a training course in Design Thinking and High Level Leadership, and during seminar 2, Gopi Kallayil, Chief Evangelist for Marketing at Google, will coach the youth in project design, public speaking and fundraising. Two social media platforms will connect participants throughout the program. They will foster an exchange on the above themes and provide inspiration on healthy habits and self-development. There will also be two motivational webinars with a renowned Social Impact Leadership expert. Participants will also be given tools and training to develop a daily routine of mindfulness, which includes journaling and a simple meditation to enhance concentration and self-awareness. After the program is completed, participants will have acquired essential competences (knowledge, skills and attitudes) needed for Social Impact Leadership. They will be equipped with a toolkit of methods for designing and implementing projects to address social issues of concern to them. Upon completion, participants will receive Youthpass, the certificate of the European Union to certify non-formal learning. With AYUDH, Amma has initiated a global movement dedicated to empowering young people to contribute to a peaceful and sustainable world and become compassionate leaders with a sense of tolerance, solidarity and global responsibility. The network AYUDH Europe connects youth in Europe who are inspired by humanistic ideas based on values like human dignity, peace, cultural exchange and community. AYUDH Europe is the European youth wing of Embracing the World, a global collective of charitable/humanitarian organizations, inspired by by the Indian spiritual leader Mata Amritanandamayi (Amma). AYUDH Europe is a network with and for youth who feel committed to the values of the network. The active participation in the network is independent of gender, nationality, religion, sexual orientation or social status. AYUDH Europe strives to promote a European community of young people, which aspire to cultivate in themselves spirituality according to the universal values of love, compassion, tolerance, unity in diversity and respect, as taught by Amma. These young people thereby wish to commit themselves for the good of their fellow women and men and the environment. For this project, the legal representative of AYUDH Europe is M.A. Center Germany – Seminarzentrum Hof Herrenberg e.V., Hof Herrenberg 1, 64753 Brombachtal, Germany. This program is supported by the European Union and SAP, carried out in partnership with Embracing the World.